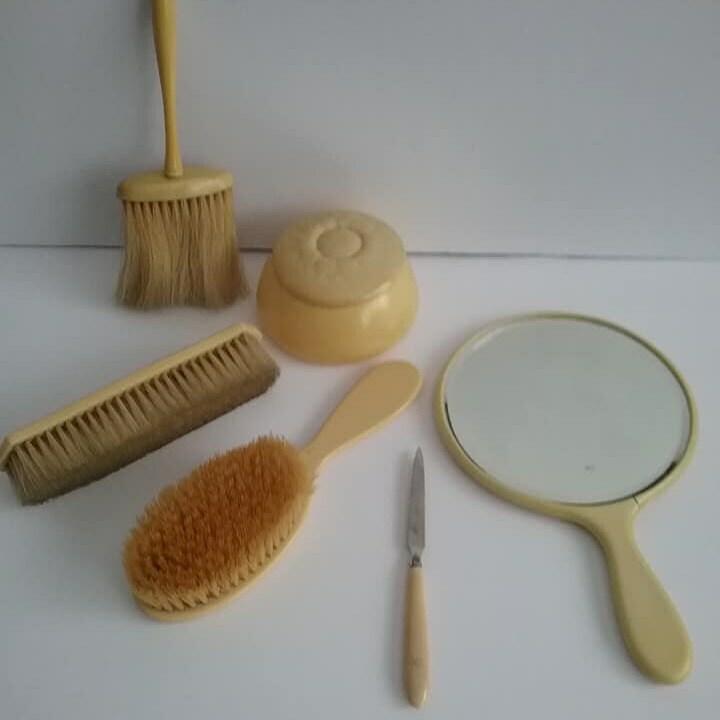 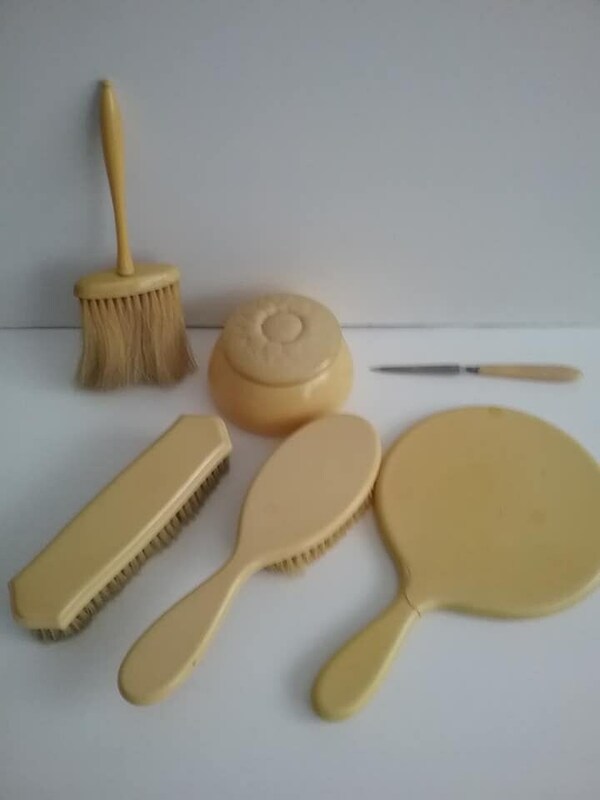 Vintage 7 piece, celluloid (French Ivory) vanity set. 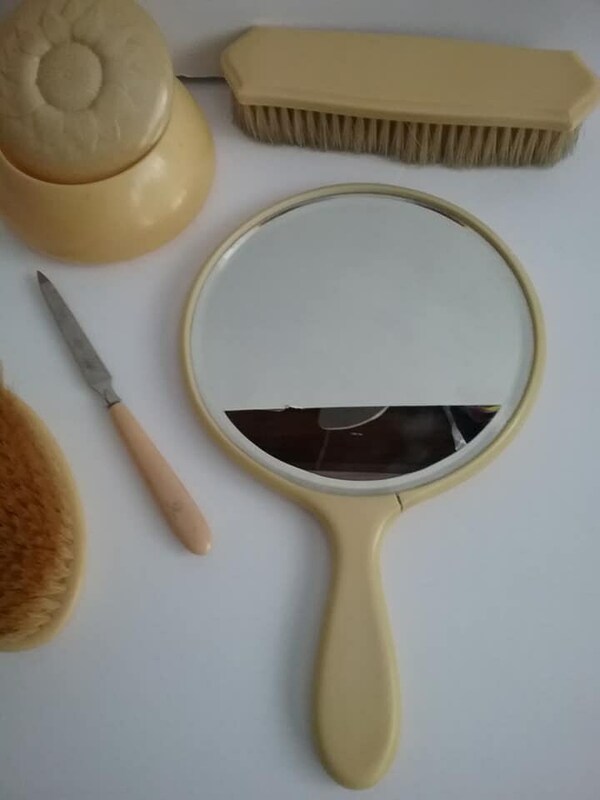 Mirror measures 10.5" length and 5.5" diameter. 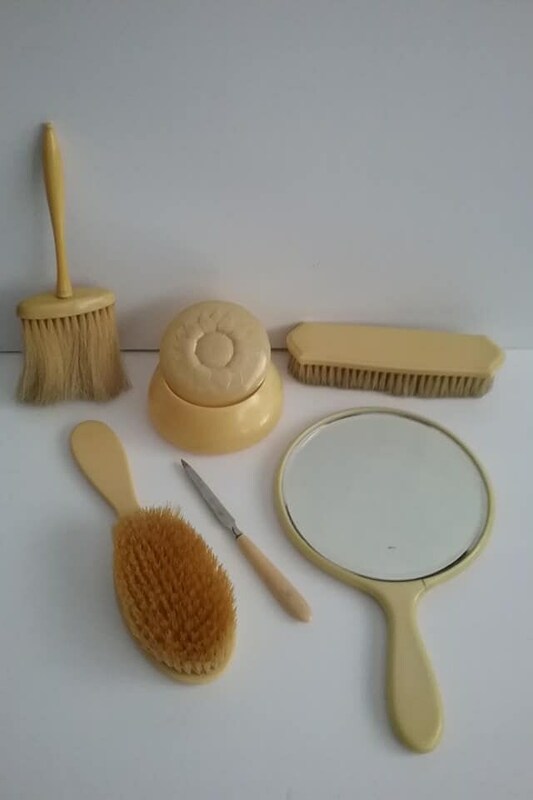 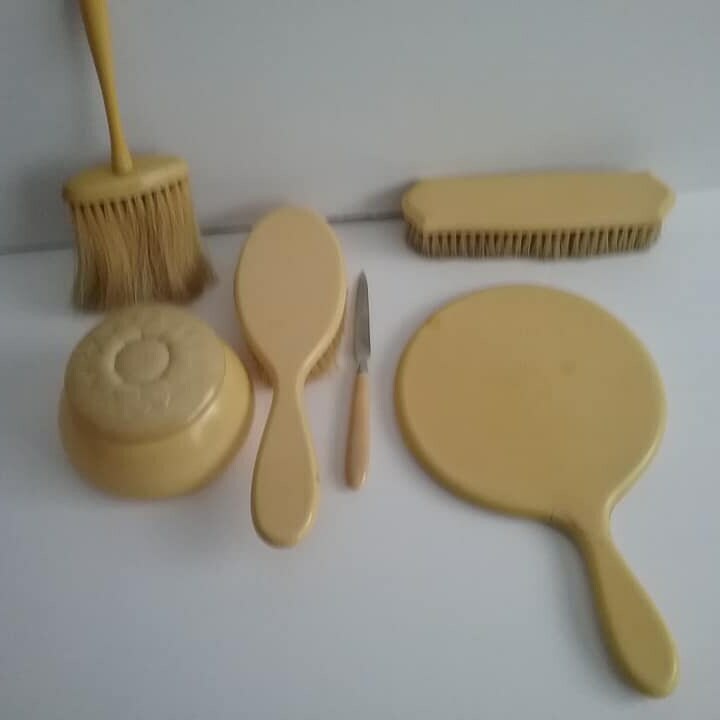 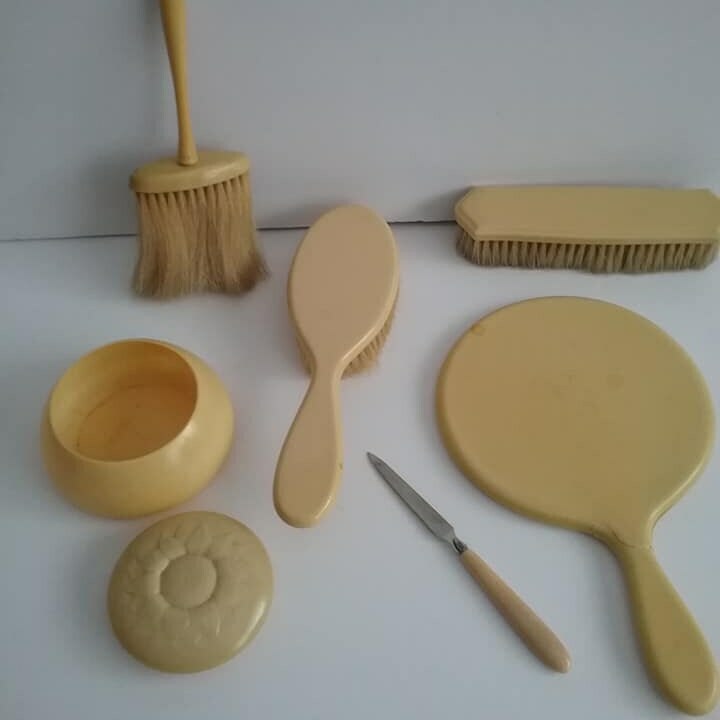 The pieces included are: hand mirror, round container with lid, nail file, hair brush, shoe brush, and table brush. 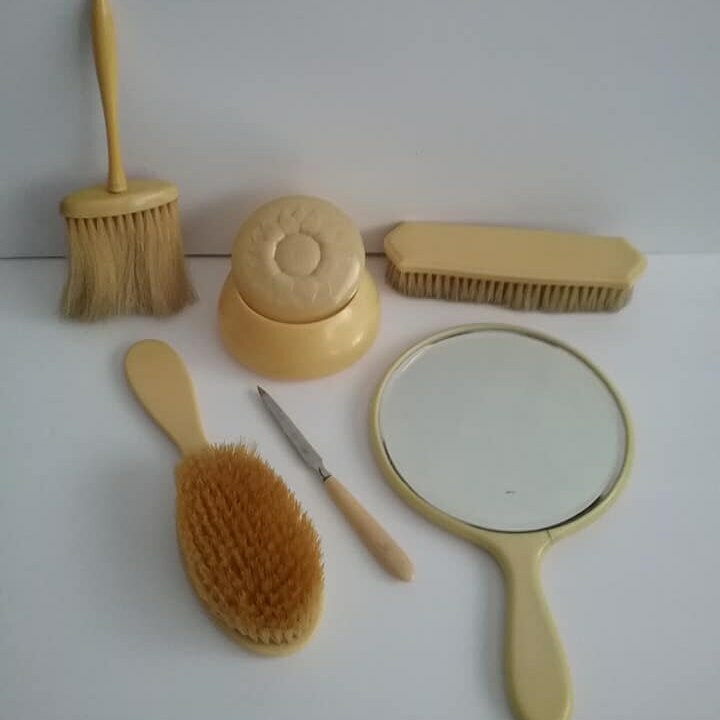 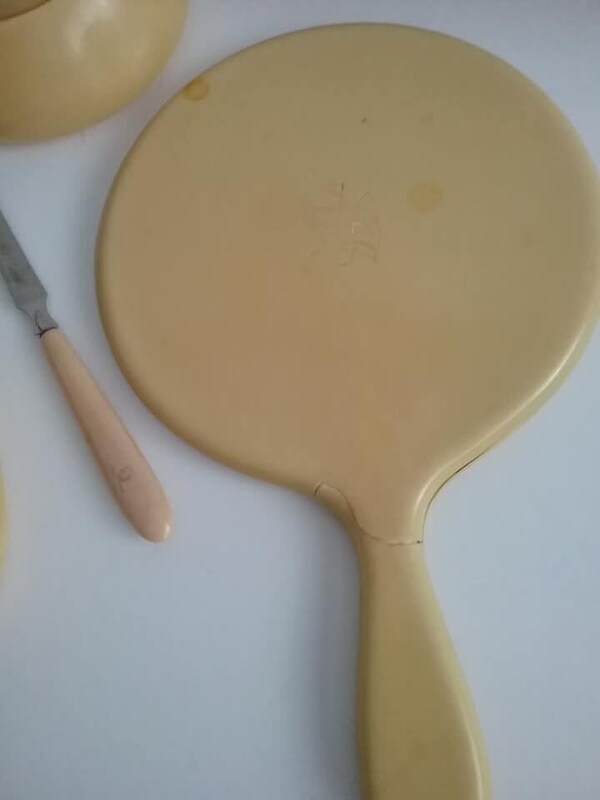 In good condition...small crack in handle of mirror, one brush has few bristles missing, and brushes have some discoloration due to age.